October finally came and so did our team building. 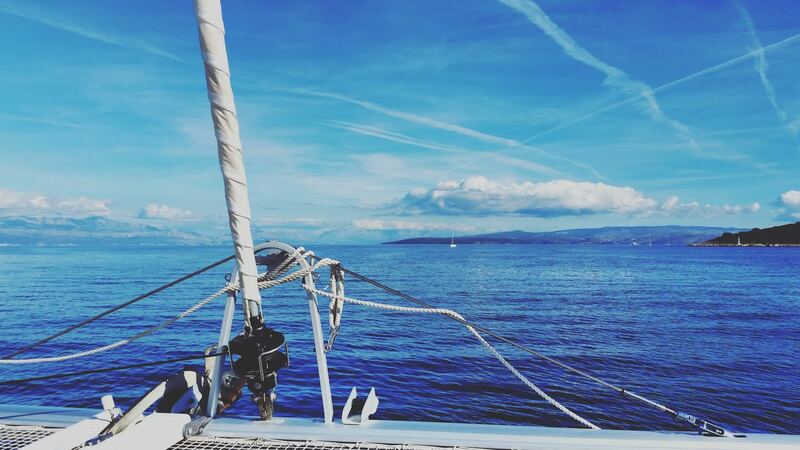 As we are a yacht charter agency, of course we went sailing. For some of us, this was a first time aboard a yacht so I don’t even have to say how excited we were. 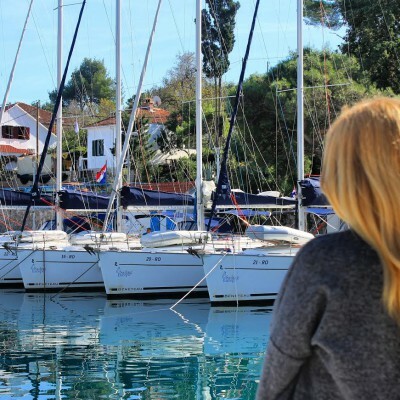 One Tuesday afternoon, we headed to Split, where we arrived in the evening, had a coffee and boarded a ferry that took us to the private base Rogač on Šolta island. After a day in the office and traveling for a few hours, we were a bit exhausted, but the minute we stepped off the ferry, our energy and excitement rushed back. We boarded our sailing yachts and catamarans and the party started. 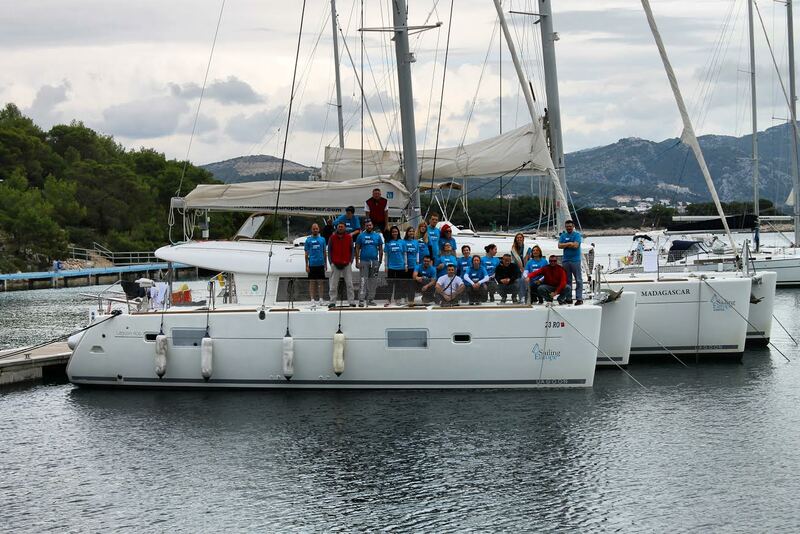 The biggest catamaran was our main “party boat” for the rest of the team building. 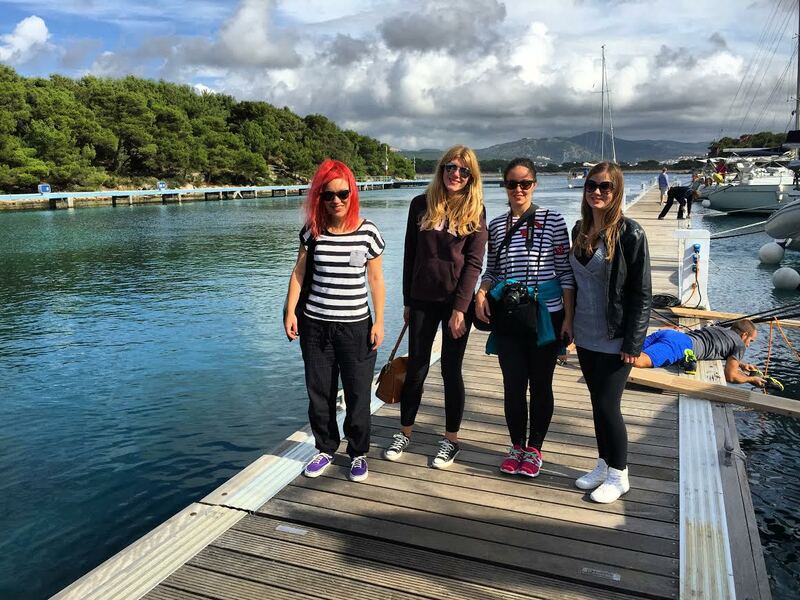 The next morning, it was time to sail to the island of Hvar. As I have mentioned earlier, for some of us this was a first time sailing. We were a bit scared that we would get sick, but our older colleagues assured us that everything would be just fine. And so it was! 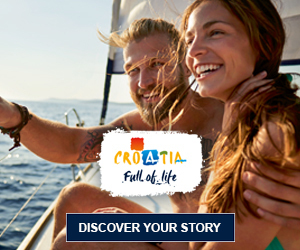 Sailing towards Hvar is something that everybody should try once in their lifetime. The sea, sun, view, wind in your hair… Truly amazing. The sun was already setting when we arrived to Hvar. 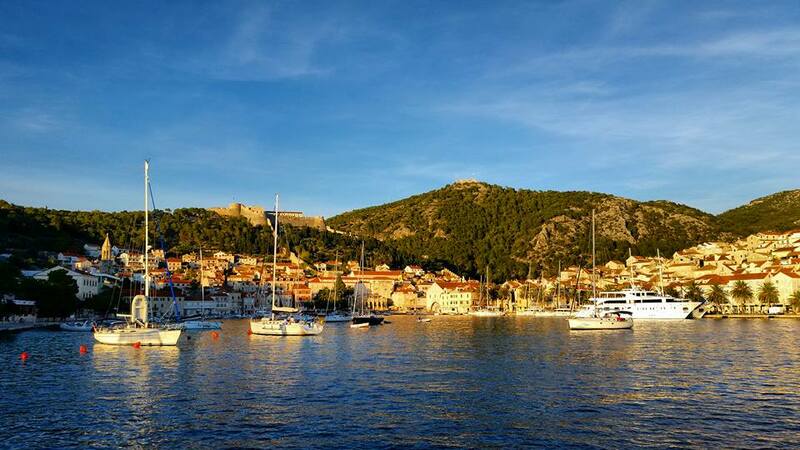 This was the first time that I visited Hvar, so entering the main harbor on a catamaran and seeing the old town colored with sunset was really stunning. We got off of our sailing boats and walked around the town. Its stone houses and the beautiful waterfront took us back in time. It was wonderful sitting by the sea and drinking a warm cup of tea. After that, we came back to our boats and had fun talking and singing together. The next morning, clouds and rain arrived, so we set off and sailed to Palmižana on Paklinski Islands, just west of Hvar, where a perfect weather welcomed us. 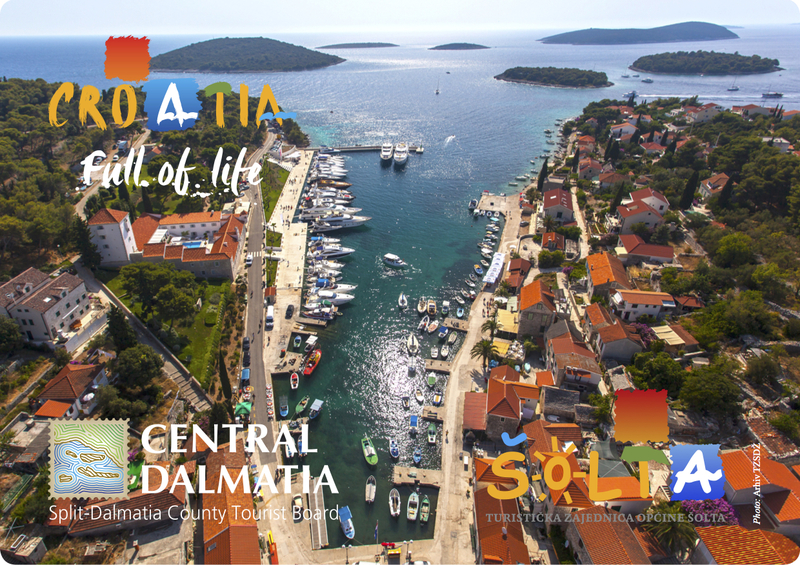 Palmižana is a calm marina situated in a deep bay with green surroundings. We stayed a day there, so we had a lot of time to explore its quiet and peaceful nature. 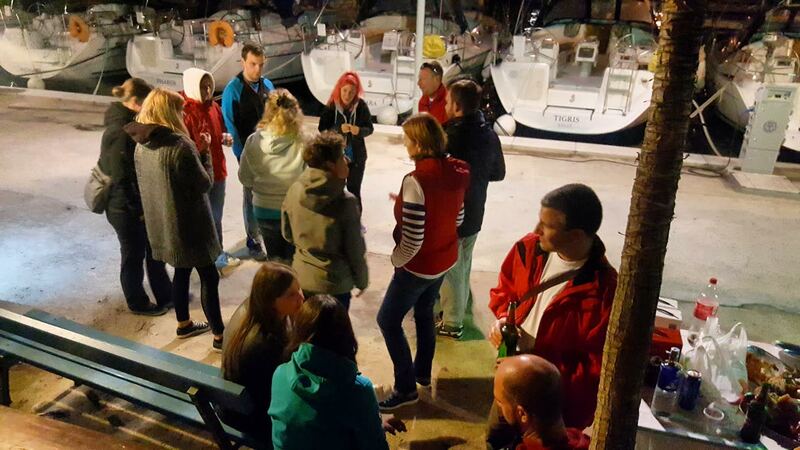 In the morning, we sailed back to our base on Šolta, where we had time to relax and prepare for our last evening, which was the best one yet. There is a barbecue in Rogač, so we prepared the most delicious food ever. For a few minutes, we didn’t really talk but just enjoyed eating. Afterwards, we got back to the party boat and ended the team building in style. The following day, we had to leave Šolta. Some of us were sad, some of us were tired, but we were happy that we spent a few amazing days together sailing our beautiful coast, seeing wonderful things and bonding with each other!